Welcome to the website of the York Butchers’ Gild (or the Company of Butchers of the City of York, to give it its full title). 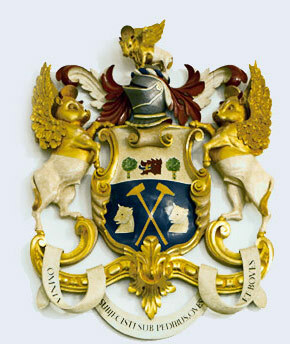 The Company is one of the seven York Guilds in existence in the early twenty-first century. Each of these seven has arrived at its modern form by a different historical route, but the Butchers’ Gild is one of three that has maintained a continuous history from its thirteenth century roots. The Guilds have retained traditions that stretch back into the mists of time and add greatly to the rich pattern of life in the City of York. Notably, the Butchers partake of a Baron of Beef for their Shrove Tuesday feast, marking the day when all flesh is eaten before the lenten fast. In the past, the Butchers, in common with the other Guilds, played a key role in the governance of the City, in the maintenance of trade standards and in the training of apprentices. Charitable and religious occasions were, and are, important. The Butchers produce the ‘Crucifixion’ in the York round of Mystery Plays. The Gild welcomes contact with similar bodies worldwide, and with any butchers with a York connection. There are perhaps two hundred Yorks, Yorkes or other derivatives around the globe, are you such a butcher? The Master of the Gild for 2018 to 2019 is Mr. Michael Ward.